Humble Brush has a handle made out of 100% natural, biodegradable bamboo. The bristles are made out of Nylon-6. 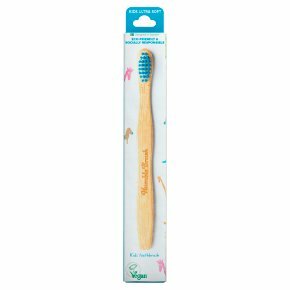 For every Humble Brush sold, a child in need receives a toothbrush or alternative oral care. Toothbrush with ultra-soft. Ecologically clean. Naturally anti-bacterial. Panda friendly Moso-Bamboo. The Natural and Organic Awards 2015 Winner. Vivaness 2016 Best New Product.